Rejuvenates dry, dull looking skin by removing pore clogging debris. Diminishes the signs of sun and environmental damage. Stimulates facial circulation and evens out skin tones when used twice weekly. Leaves skin looking smoother and brighter. Ideal for use before applying self tanning lotion or moisturizing treatments. For facial and body skin treatments just like at professional salons, but in the comfort of your own home! Application: Massage gently and lightly with fingertips until cream is absorbed. Rinse off or towel off. Do not use on open sores or skin affected by acne or rosacea. Avoid eye area. 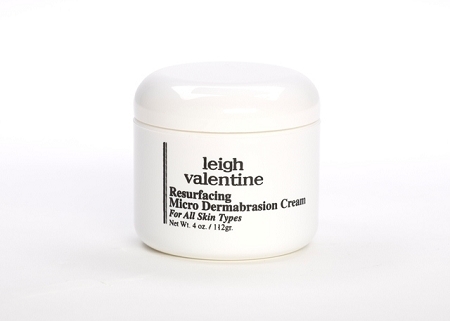 Features & Benefits: Rejuvenates dry, dull looking skin by removing pore clogging debris. Diminishes the signs of sun and environmental damage. Stimulates facial circulation and evens out skin tones when used twice weekly. Leaves skin looking smoother and brighter. Ideal for use before applying self tanning lotion or moisturizing treatments. For facial and body skin treatments by professional salons and excellent for at home use. This product is amazing. My face face has never felt so soft and smooth as it does after using this product.